CCTV cameras are installed in almost every high-street store and can even be seen on our streets. But should you consider having CCTV cameras installed in your home? Here are five good reasons why you should. Home insurance companies take into account the security provisions that you have in place on your property when calculating your premiums. If your home has an alarm system, locking windows, and CCTV monitoring cameras set up to keep watch on the exterior of your house, you may benefit from discounted premiums. CCTV cameras act as a massive deterrent to would-be burglars and vandals. If it can be seen that you have CCTV, you are much less likely to be the victim of crime, keeping your family and belongings safe and secure. If you have CCTV cameras installed that allow you to monitor the perimeter of your property, you can use them as a means of checking who is calling on you. This is particularly useful if you have an unexpected late-night caller, as you can check them out without having to open the door if you don’t feel safe doing so. Although CCTV will provide a very effective deterrent to criminals targeting your property, it is also extremely helpful to police should the worst happen and you become a victim of crime. Good-quality CCTV film can capture clear images of intruders or prowlers, enabling police to identify and apprehend habitual offenders who are known to them. Once a home CCTV system is installed, it requires very little maintenance. All that’s necessary is an occasional wipe clean to make sure that the camera lenses are not obscured by grime and a regular health check from a professional installation team. Keep overhanging bushes and trees trimmed back to make sure that the cameras are not obscured by foliage and check their positioning following high winds to make sure that the camera lenses are still correctly aligned with target areas outside your home. CCTV cameras are not just useful for businesses and town centre streets. 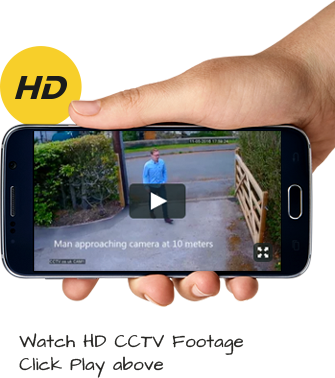 Home CCTV can provide a deterrent to criminals, protecting your property and your family. Requiring very little maintenance once they have been installed, a home CCTV system could even bring you an unexpected bonus in the form of cheaper home insurance premiums. A few mis-understandings and teething problems but in general helpful staff all the way through the process and problems sorted out promptly.